This is a quick and budget-friendly throw-together for really busy nights. I recommend rounding out the meal with some rice, couscous or quinoa. Heat the olive oil in a large skillet over medium-high heat. Add the garlic, bell pepper and ginger and saute for 90 seconds. Add the diced chicken and cook, stirring occasionally, until the chicken is just opaque. Add the tamari, crushed pineapple and coconut milk. Mix well and simmer for 3-5 minutes. 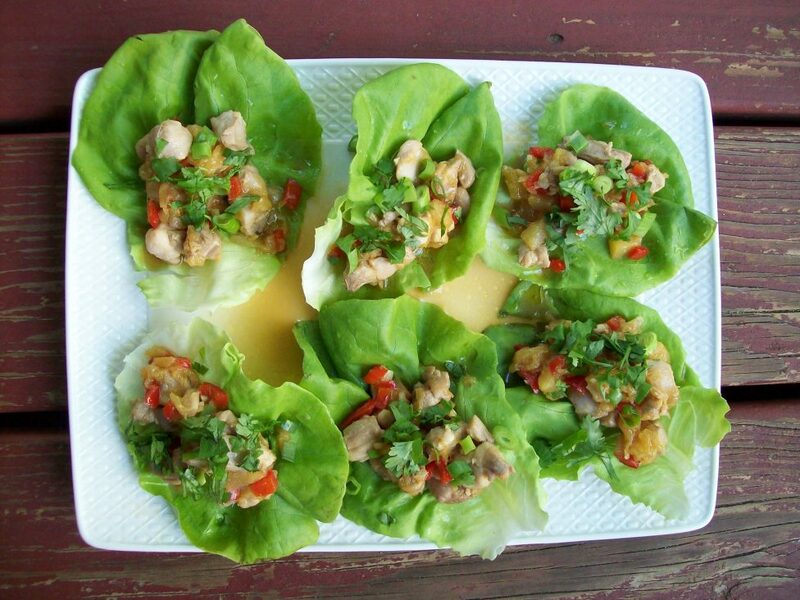 Spoon the chicken mixture into lettuce leaves. Garnish with cilantro and chopped scallions.